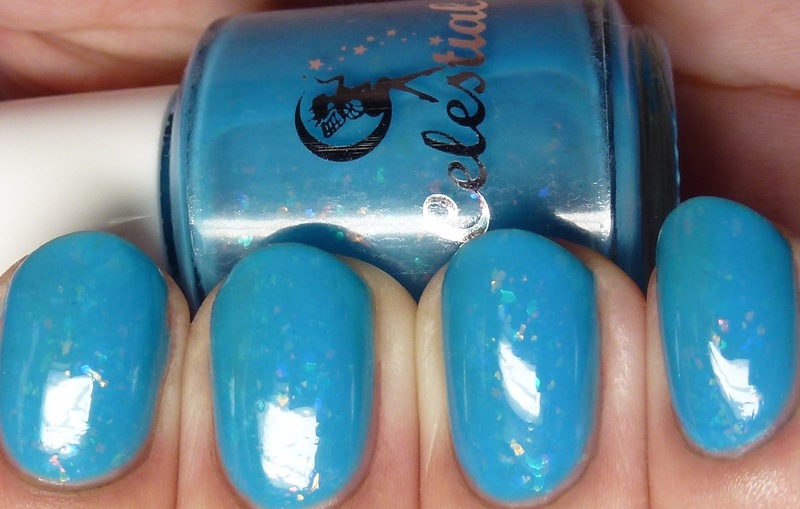 I have exciting news for U.S. fans of Celestial Cosmetics! On Sunday, November 8 at 5PM PST the brand's U.S. distribution site will open. Earlier, she had to discontinue international shipments due to postal returns. 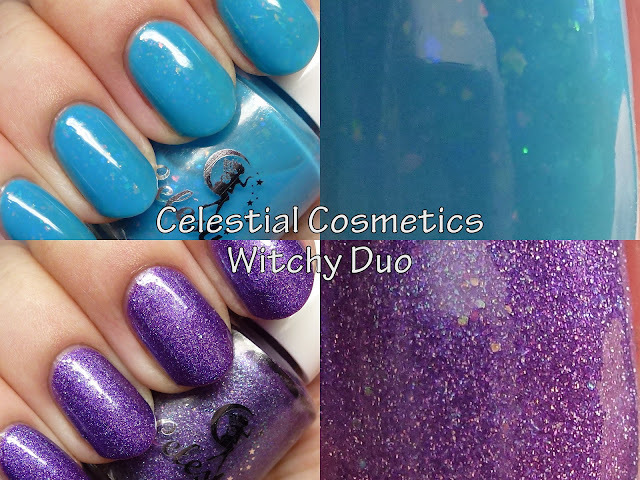 There will be limited amounts of the Witchy Duo available, which has already sold out on the Australian site. Let's check it out! 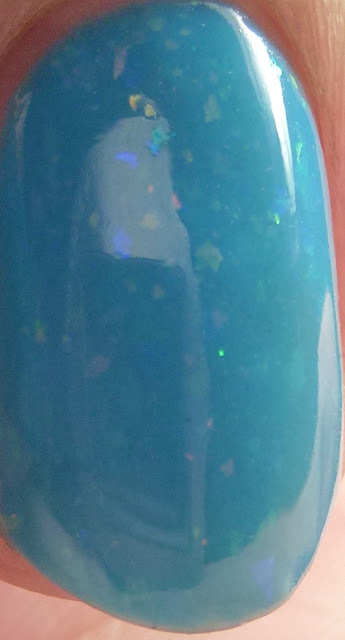 Weave a Spell has multi-colored iridescent duochrome flakes in a cyan jelly base. 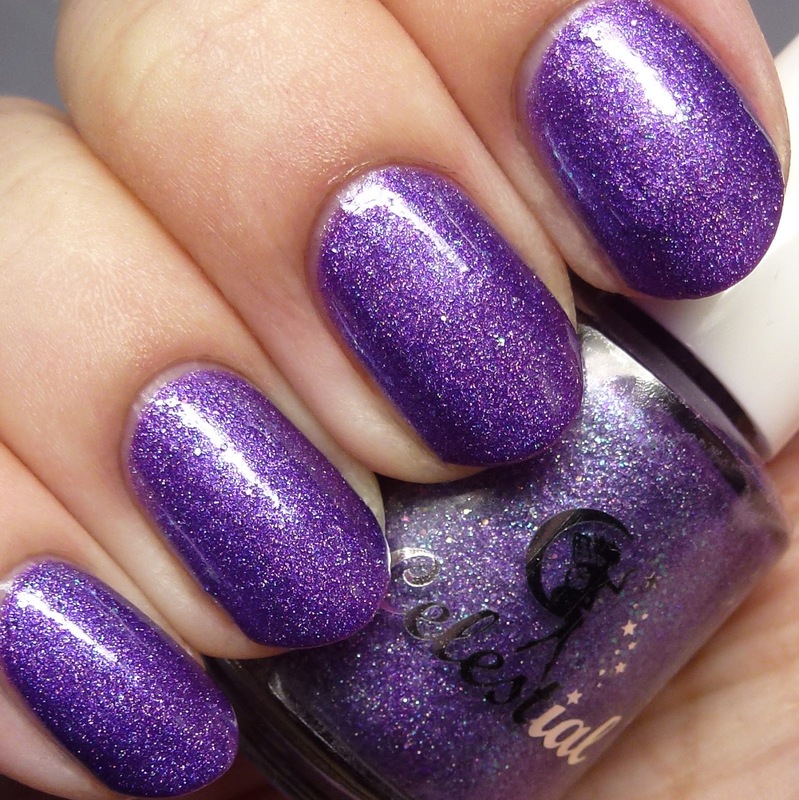 I love these kind of polishes and this one didn't disappoint! I wore it in four thin coats for maximum depth, but fewer coats would work as well. Witches Charm has iridescent microglitter, blue-to-pink duochrome microflakes and scattered holo in a deep lilac base. 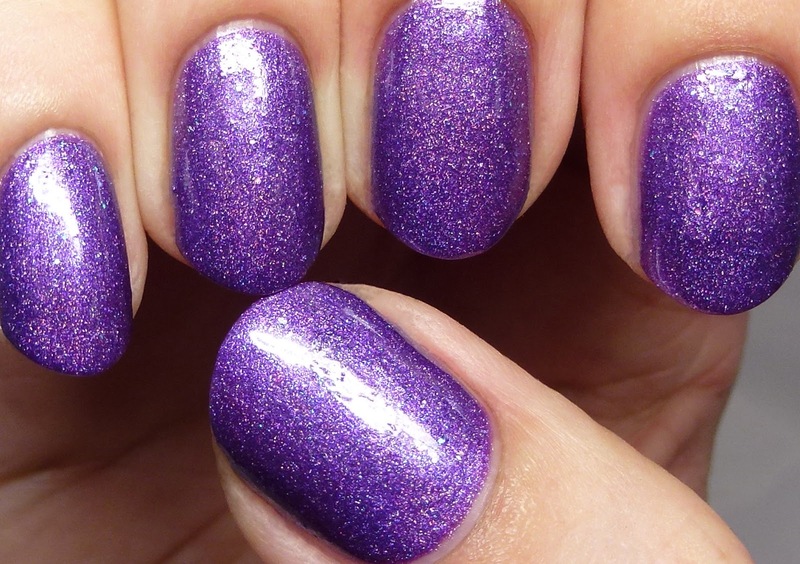 This is with three thin coats, but two would do. 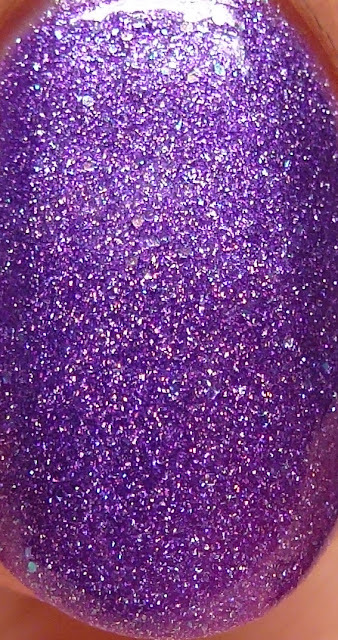 This does have a very slight texture due to the glitter. If you want to pick up this duo be right on time for the launch! It's completely worth it for any flake polish lover out there. The set will be priced at $18. 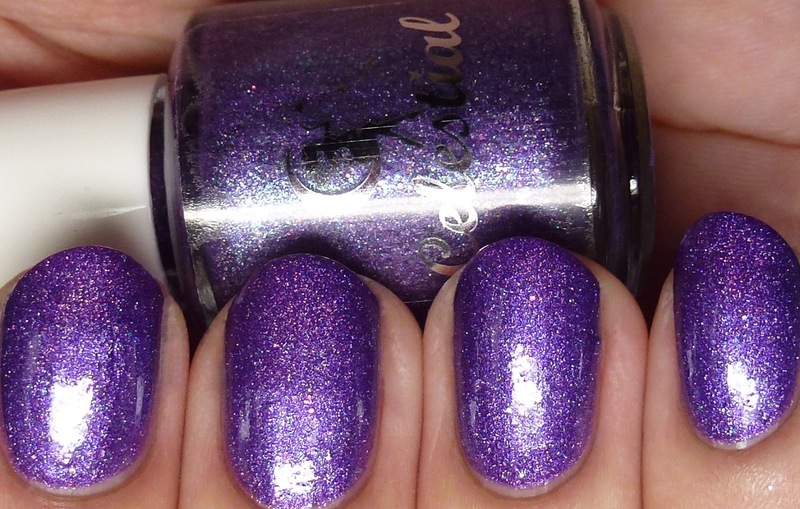 I'll be back soon with a look at three more polishes coming to the U.S. site.